When it comes to wrapping your head around one of the most complicated and complicating aspects of hockey—making order out of hockey’s chaos to set up passes and create plays—it might help to consider playmaking as the culmination of a lot of smaller components. Watch a goal these days, and then reverse engineer it. The intentional forecheck. The cut-off passing lane that foiled a breakout. The forced turnover. The transition opportunity. The puck chipped to the right spot. The timely change and teammate who stayed on-sides before all of it. If any of those goes in the opponent’s favor, the puck doesn’t wind up in the net. “Never underestimate the little things,” Duggan says. Very few goals these days are generated by set plays that begin with wings staying on their wings. Hockey is fueled by strength and conditioning, by technology and by advances in youth hockey skill development, and is evolving faster than ever. Even from five years ago, hockey feels faster at so many levels. It’s more fluid. Players are more skilled and versatile. They’re quicker. Plays develop more quickly. Decisions have to be made more quickly, too. As the margins for success narrow in a rapidly evolving game, passing and playmaking opportunities, including how fleeting those opportunities are, is therefore more critical than ever. 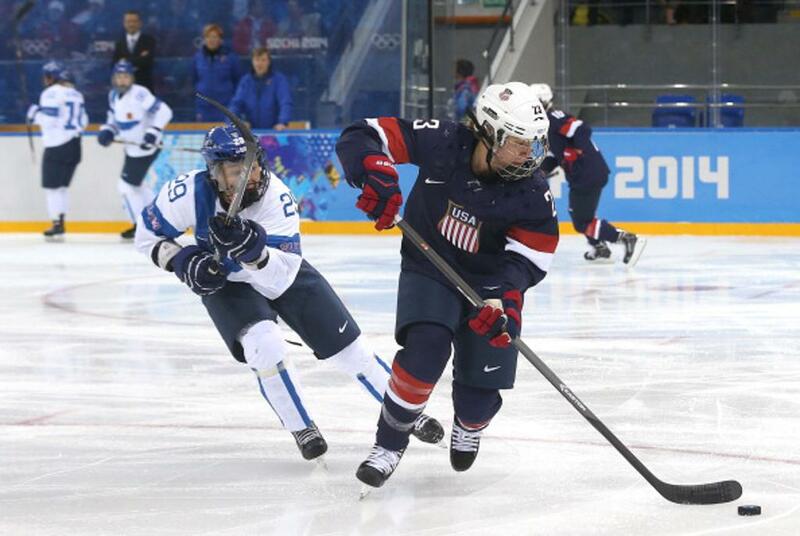 For Duggan, who played on her first Olympic team in 2010, there’s a thrill in being part of the game’s evolution. In terms of visualizing, Picard is trying to fill her head with good thoughts. Though Duggan is coming at it from the perspective of an elite athlete, a good part of her experience with visualizing can be relatable. 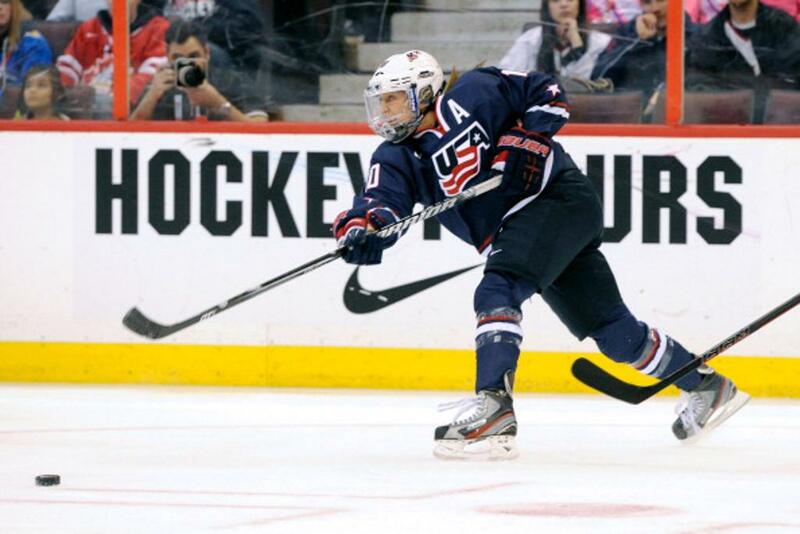 Duggan, who has captained Team USA twice, mentions experimenting with something akin to position-independent hockey. That's where playmaking without the puck comes into play. Responsible players are making plays that are leading to goals in more subtle ways. Playmakers are back-checking, getting sticks in lanes, keeping proper gaps and not cheating on defense. In transition, they're getting open to receive passes and putting themselves in position to catch any pass that might come their way. No matter how awkwardly the puck might arrive, they’re making the effort to adjust. That's making plays. “Whether that’s a big defensive play, getting in hard on the forecheck, picking up a stick, or being able to make or take a hit,” Duggan says. Many of the elements in making plays come down to making time. In a hockey world of condensed time and compressed space, a playmaker can blossom from creating just a little more time or space for themselves or their teammates. For Picard, skating is central to her ability to make plays, too. Both players — along with legions of coaches and volunteers and parents and elite players — agree that passing remains the best way for a team to get around the ice. While hockey is becoming faster as it evolves, the players who are most equipped to hit that moving target are the players who can make more kinds of plays than players could make only a generation before. To illustrate that same point, Picard had a youth hockey coach race their fastest player the length of the ice while stickhandling against multiple players who could pass the puck to each other. Not surprisingly, the passers won. Breaking a complicated game down to simple plays may just be the key to becoming a better passer and playmaker.